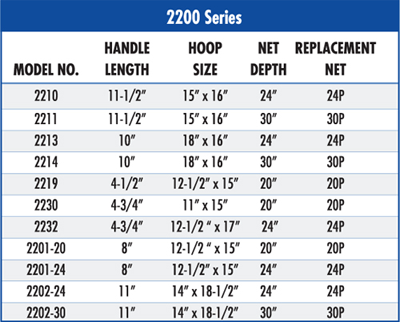 One-inch diamond-embossed anodized aluminum handles with 1/2″ hoops and 3/4″ mesh polyethelene net. End cap with elastic stretch cord. 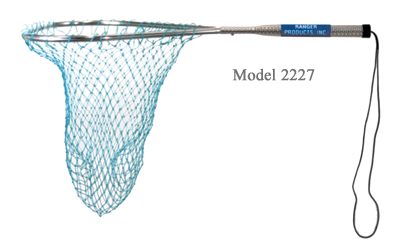 Optional nylon netting. 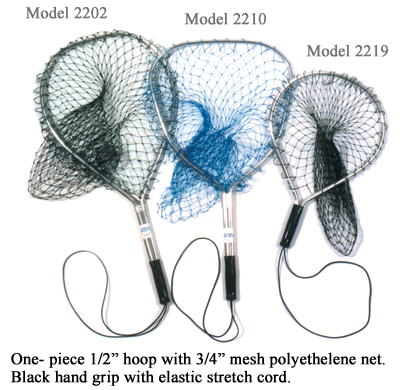 Excellent catch and release trout net features a flat bottom with extra soft fine mesh netting that won’t harm fish. 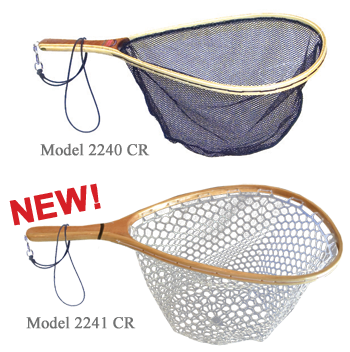 the trout will lay on the flat bottom for easy hook removal. 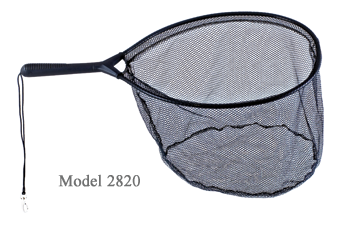 Handle is made of unbreakable nylon that lasts forever. Comes complete with lanyard stretch cord and snap.